Mediterranean food spans several countries and cultures, from wonderfully aromatic African spices to the subtle and classic herbaceous French cuisine. There are common threads though: olives, seafood, and bright, bold flavours. 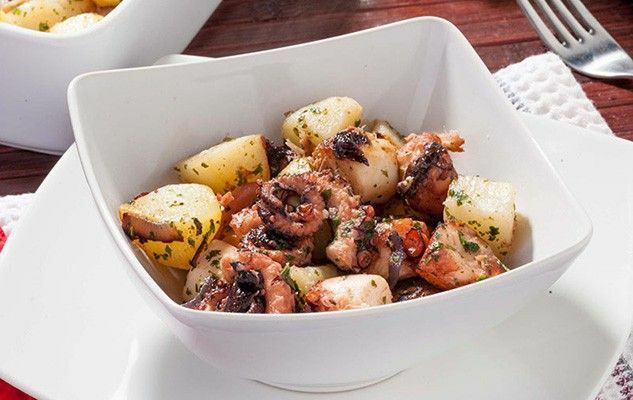 Mediterranean recipes tend to be light, often served family-style or as tapas (smaller dishes to be shared and tasted), and make the most out of every little bite. But the best part is how healthy everything is, since the region tends to favour fish with healthy omega fatty acids as well as heart-healthy olives. Here are ten of our favourite Mediterranean recipes! A nice and quick to make salad in which you can easily adjust the spiciness according to your taste.